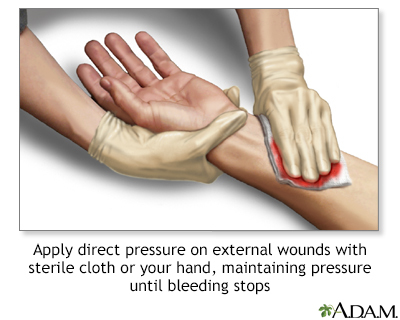 Bleeding from most injuries can be stopped by applying direct pressure to the injury. This keeps from cutting off the blood supply to the affected limb. 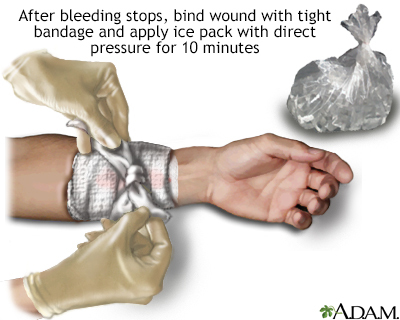 Bleeding from most injuries can be stopped by applying direct pressure to the injury. This keeps from cutting off the blood supply to the affected limb. 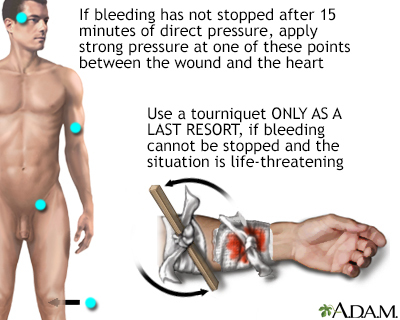 When there is severe bleeding, where a major artery has been severed, pressure may be insufficient and a tourniquet may be necessary.